On-road or off-road? How about both. The versatile all-round daypack is equally adept at handling weekend trail rides and weekday jaunts in the city. The Rokko accommodates all-round carrying needs. Shimano's Rokko Backpack is a versatile daypack with a minimalist design to comfortably carry your gear without getting in the way. It is also equally proficient at handling weekend trail rides as well as weekend city excursions and comes packed with features. The lightweight fabrics minimise the pack’s weight without sacrificing durability while the contoured and perforated shoulder straps on the backpack reduce pressure on your shoulders while staying cool and dry. 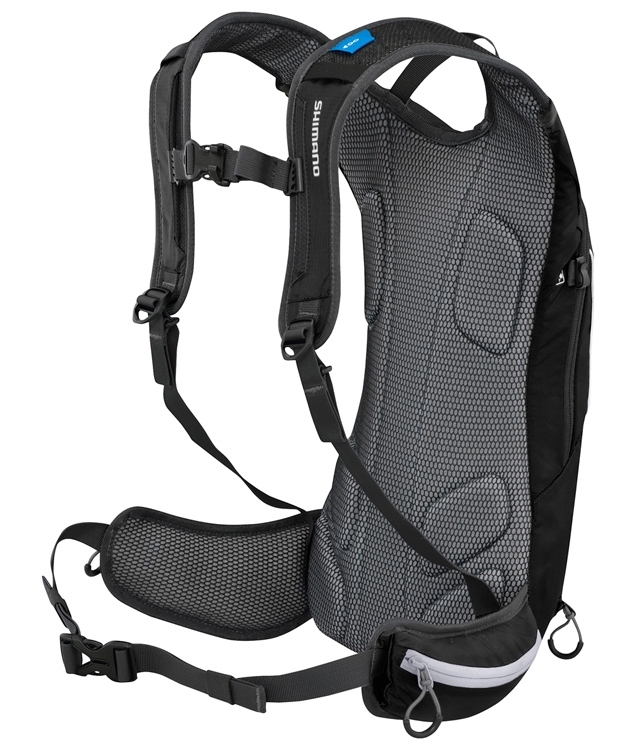 There is an adjustable chest strap which lets you tailor the fit to your body and an anatomically shaped back panel that creates an air channel to remove heat and keep you comfortably cool. Carrying on from the above features, there is a tool organiser pocket in the bag's main compartment that has a section to store your pump, spare tubes and tools, perfect for quick tune-ups on the trail. But wait! There’s more, everybody loves to have useful and easy access pockets and the Rokko excels in this department with handy zipped waist belt pockets that enable you to securely stow and access gear without taking your pack off, a felt-lined valuables pocket for storing, well you guessed it, valuables, and versatile stretch side pockets providing storage for an extra water bottle. The Hydration compatible bag is also equipped with a dedicated section for securely holding your hydration system and a handy hydration tube fastener which prevents the tube from dangling loose while you’re riding. 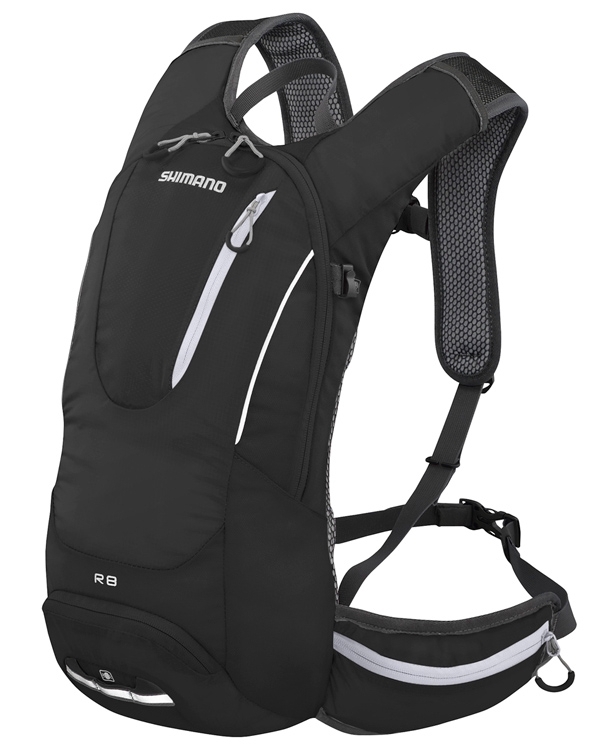 The features don't just stop there, as this Rokko backpack also has super-easy to use zipper pulls, even when you’re wearing full-finger gloves, a rear-mounting light attachment loop which works in tandem with reflective elements to provide peace of mind when you find yourself caught in traffic after dusk as well as incorporated reflective material to grab the attention of other road users and keep you out of harm’s way. To finish off the plethora of features, there is a loop on the shoulder strap that provides quick storage for your eyewear and a versatile clip that allows you to securely attach your helmet to the bag. Phew, now, if you haven’t bought this backpack yet, what’s keeping you? This backpack is littered with features and ideal for both off-road and on-road, there really is no other comparable pack on the market.